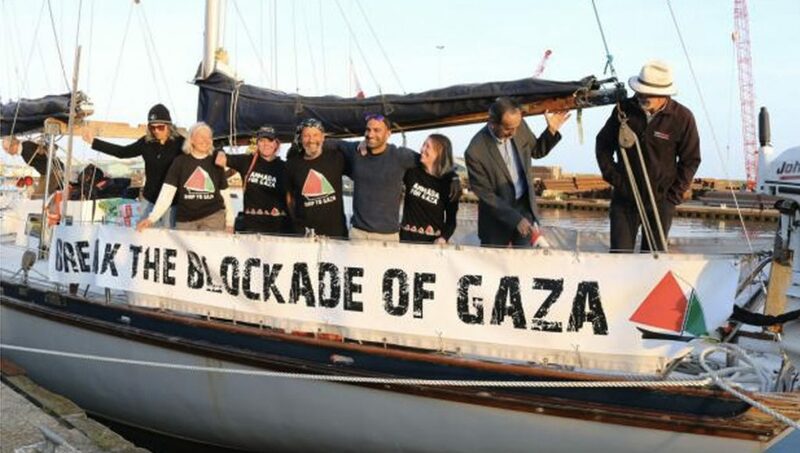 As the Real News reported two weeks ago, a flotilla of ships has set sail from Copenhagen to the besieged and devastated Gaza Strip. They are carrying human rights activists from around the world. They are stopping at various European ports as they make their way toward the Eastern Mediterranean, and their goal is peaceful: to draw the attention of the world to an unlivable open-air prison in which two million Palestinians, one half of whom are children, are trapped. I will be joining the flotilla in late June to cover the voyage for The Real News, and in the interim we have been speaking periodically to some of the activists who are taking part in this expedition. And today we are joined by one of those activists, Ron Rousseau. Ron is an Indigenous activist who lives on the Carcross/Tagish First Nation in the Yukon in Canada. He is president of the Whitehorse Local of the Canadian Union of Postal Workers, second vice president of the Yukon Federation of Labor, and Aboriginal vice president of the Canada Labour Congress. He was also part of the initial startup of the Idle No More movement in the Yukon. He joins us today from La Rochelle in France on the Atlantic coast. Thanks very much for coming on The Real News today, Ron. RON ROUSSEAU: Good afternoon, yes, and thank you for having me. DIMITRI LASCARIS: So, Ron, you’ve traveled quite a long way to participate in the Freedom Flotilla. Please tell us why you’ve chosen to involve yourself in the struggle. RON ROUSSEAU: You know, as an Indigenous activist, as you know, it is, we feel that it’s necessary to be defending and making people aware of what’s actually happening inside of Palestine, and the people that have live there, and how they are under siege. 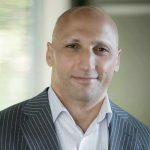 DIMITRI LASCARIS: Do you see parallels between what indigenous peoples in Canada have suffered at the hands of a colonial system, and what is being done to the Palestinian people? RON ROUSSEAU: As we look at our history, you know, we were some 200 million in North America. And you know, our people were slaughtered. Our people were, had bounties on us, and even up to the point of where they were moved onto reservations where we needed a pass system to leave the reservation, even to go off for medical, you needed to ask permission to leave. So we were inside like a landlocked jail as well, up until the ’50s. DIMITRI LASCARIS: And your union, the Canadian Union of Postal Workers, has issued a strong statement of support for the Freedom Flotilla, and has in the past historically adopted positions that are quite supportive of the Palestinian cause. Can you tell us about the ways in which the Canadian Union of Postal Workers has supported your initiative, and has supported more broadly the movement for Palestinian freedom? RON ROUSSEAU: Through the, what’s happened with myself within the union is, the first article I read was probably 10 years ago. It was a full bulletin put out to all members that went out to every postal worker in Canada, and then I went to an intensive four-week education for unionism, and we spent the whole day talking about Palestine. And that’s where I went from going from traditional news to news that actually spoke about what was happening. And I was, I was shocked, and I couldn’t take it off my mind, and been following it all the way along and making sure that people understood what was going on with family, friends, and everybody I talked to. DIMITRI LASCARIS: And when your vessel arrived, just, I think it was within the past day or so in La Rochelle, how were the crew and passengers of the vessel received by the local residents of La Rochelle? RON ROUSSEAU: We had a great-. When we arrived there was a lot of people that were out. Lots of flags. It was getting dark, but still there was probably 40 people out with flags, and cheering, and song, and came out to welcome us and give us a really warm welcome. DIMITRI LASCARIS: And finally, Ron, what do you hope this particular expedition will accomplish for the Palestinian cause? RON ROUSSEAU: Well, with it is the more that we get out and the more people we talk to, the more that we have people aware of what’s going on. It’s like we say, as, you know, as with our own government, is no action, as far as we’re concerned, is silence is almost like compliance. So we need to ensure that people are aware, people need to be speaking, talking about the issues. Bringing it forward, especially as political issues, and having our government stand up and take a strong stance on what’s happening, as well as the other governments, and make people stand up together. It is the only way we’re going to take care of this, because right now we’re not seeing anything going on, even inside the United Nations. DIMITRI LASCARIS: Well, we’ve been speaking to Ron Rousseau, president of the Whitehorse local of the Canadian Union of Postal Workers, about the Freedom Flotilla expedition to Gaza. Thank you very much for joining us today, Ron. RON ROUSSEAU: All right, thank you. DIMITRI LASCARIS: And this is Dimitri Lascaris, reporting from Montreal, Canada for The Real News.